“Sometimes I feel like I’m in Barcelona” – D Kay and Epsilon. The Catalonian capital of Barcelona is a city I could actually see myself living in. 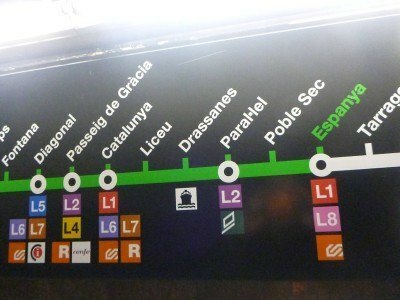 The odd thing about it is that Barcelona was never on my list of cities to visit – ever. I’m a bit of a travel cynic these days when it comes to “popular places” and I’m the first to admit it when they prove me so so wrong, as happened with this gem of a city. 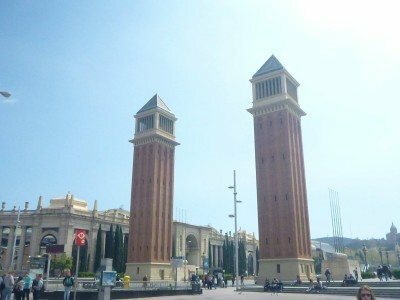 I have now been to Barcelona twice in the past year, and both times by mistake – I didn’t intend to visit Barcelona at all yet I ended up loving it! The first time I visited I was looking for flights from New York back to Europe. 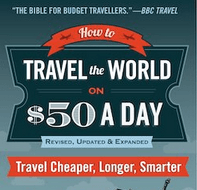 It turned out that at the time, the cheapest ones I could find were from JFK airport to Barcelona with Expedia, so I booked the one way flight. However I originally decided to skip Barcelona and head straight to Andorra. I always felt Barcelona would be too mainstream for me and my writing and I wanted to have 4 days exploring Andorra. Within an hour of landing at Barcelona Airport, I headed on a bus north, across the border into Andorra! I was still avoiding the famous Catalonian capital. 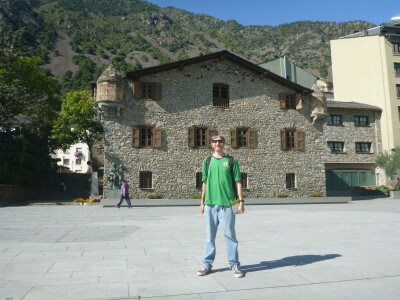 Backpacking in Andorra: Casa de la Vall in Andorra La Vella. But I wanted to surprise my family with a visit so I then looked at flights from airports near Andorra back to Belfast or Dublin. For a cheap price I got a flight to Dublin from Barcelona, in the knowledge that after four days in Andorra, I would also have four days now in Barcelona! The icing on the cake was the reunion with my cousin Paul who lives in Barcelona, speaks Catalan and has travelled the world too. 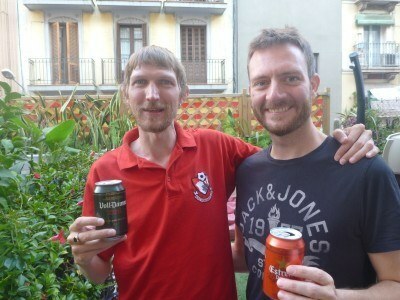 Cousins reunited – Paul Scott and I!! I was proved wrong with Barcelona. I loved it and have now been back for a second visit. Here are six of my personal favourite bars from a few nights out in the city. I’m sure I will be back again for more Cerveza in this cultured, arty, happy, vibrant, football-loving city. 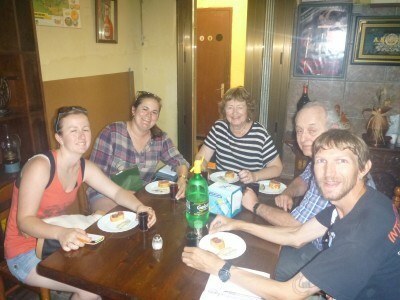 Doing a neighbourhood food tour in Gracia, Barcelona. It was here in the poky streets near Paral.lel Metro station that life went full circle for me once again. I was 34 and the last time I had seen my cousin Paul Scott, was 17 years before that when I was 17. It had been half of my life. 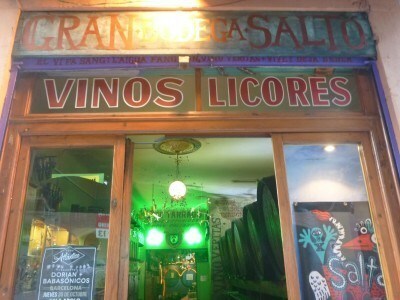 But on a hot October Sunday in 2014, Paul and I had our first ever alcoholic drink together in this small unknown bar – Gran Bodega Salto (“Big waterfall” I think). 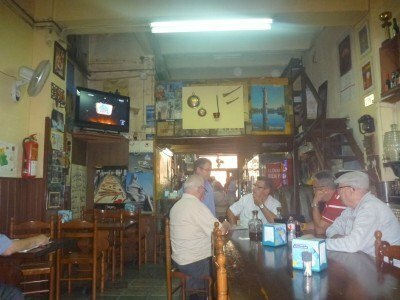 A bar that I would say is probably typical of poky back street style drinking venues in Catalonian towns. 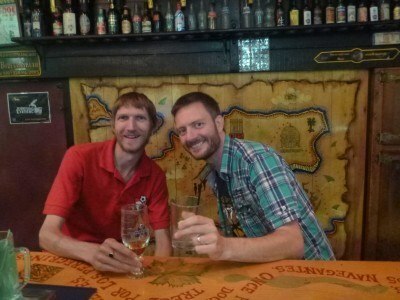 I had a local beer on tap and Paul had a gin and tonic. The reunion was complete and it really didn’t feel like 17 years! Really! I also met Paul’s wife Nuria for the first time and they kindly let me stay with them. In fact, what was even more bizarre was that I had booked into a hostel – the Hostal Barcelona and it was ironically on the same street as Paul and Nuria lived in!! Seriously, what are the chances of that?! It was great to see Paul again – we chatted at length for hours on end. Incidentally I almost crossed paths with Paul in China back in 2007, he started a travel blog just before me and went backpacking anti-clockwise round the world! 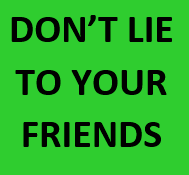 Check out some of Paul’s tales there – brilliant stuff. 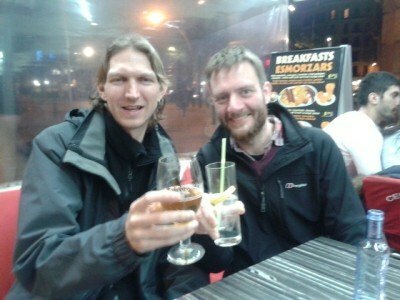 So I had my reunion with Paul – we had quite a late night out – it was brilliant to see him again but the next day I went to check into my hostel for three more nights and on my last of those nights, I had another crazy reunion to attend to. With my mate Marc Torrents who is Catalonian and worked with me in Best Break in Bournemouth in 2009. 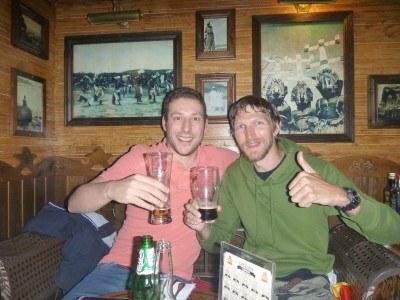 When I messaged Marc about meeting up he suggested Obama Bar straight away which was fantastic. 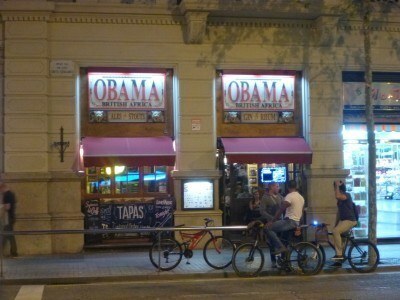 I may have been to the Obama Bar in Singapore before but this was better – Marc and his Colombian girlfriend were there (incidentally they met in Bournemouth) and we rolled back the years with pints of beer and even a best break style burger! Plus I got to meet the USA President for the third time on my journeys (the first was in Singapore in O’Bamas Bar, the second was in Hong Kong at Madame Tussauds). 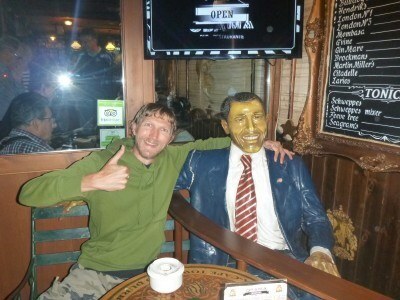 Obama must know me by now, “not that Northern Irish backpacker again wanting a photo with a fake me”. Having a beer with the President. 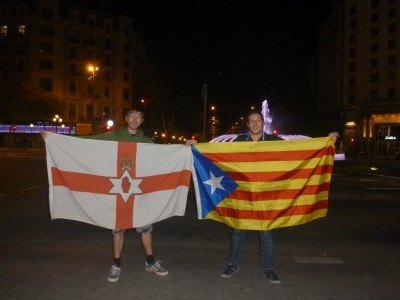 Marc and I with Northern Ireland (Ulster Banner) and Catalonia Independence flags in Barcelona. 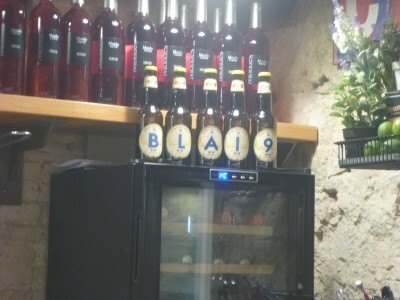 Blai9 was the lazy option on my first night in the hostel as it was a 2minute walk. 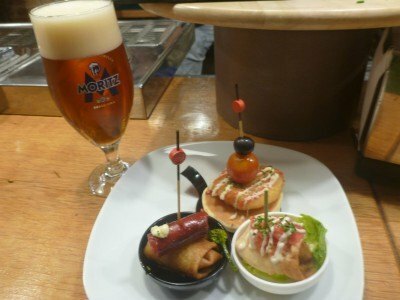 I just wanted a relaxing beer and some decent tapas. 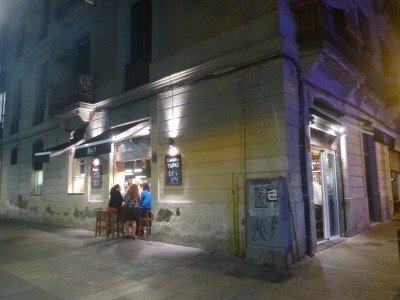 The thing about the streets near Paul’s flat and the hostel are that there are countless bars and tapas places to go into. 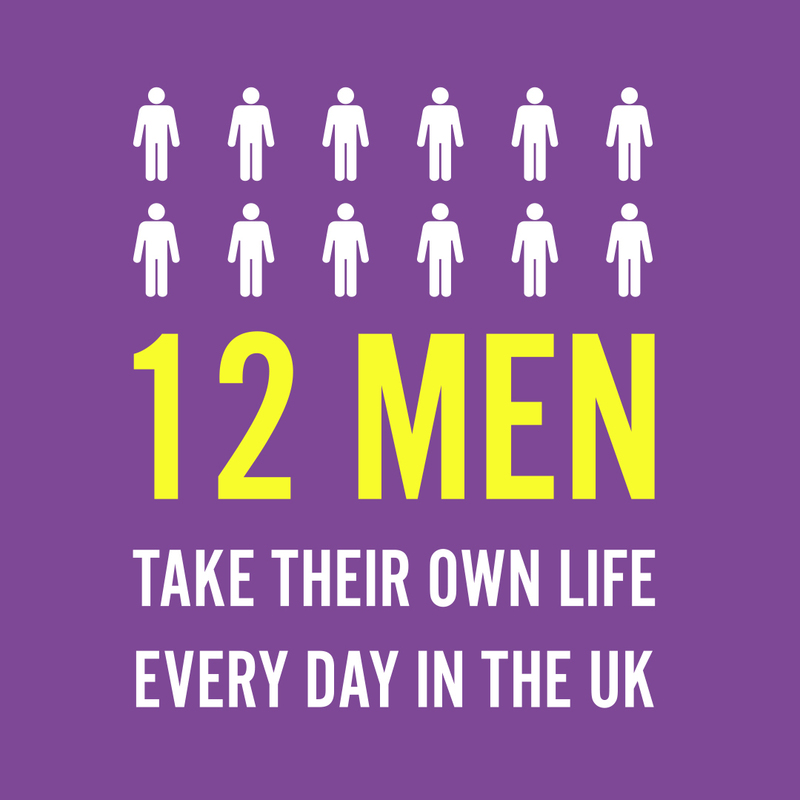 I must have been in five or six of them during my time and I’m including Blai9 in the list as the name stood out because it was an “r” short of my surname. 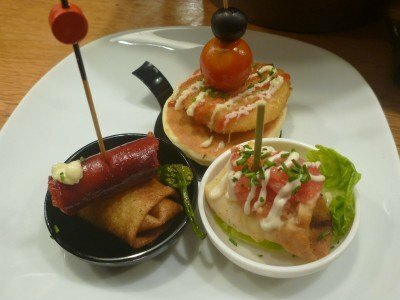 With Tapas for 1 Euro, you simply can’t go wrong! I’m not putting all the mainstream cliched bars in here as they have enough publicity methinks. So Ca’l Pep makes the list with aplomb. 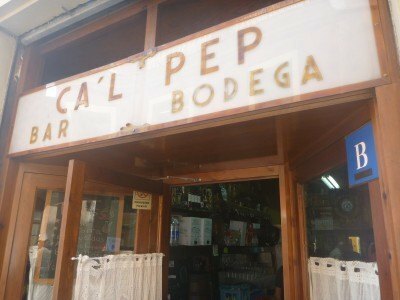 Ca’l Pep is in the village of Gracia and I headed here as part of a brilliant food tour with Devour Barcelona. When you walk through the door at Ca’l Pep you have stepped back in time. It’s an old man’s bar but there was a real highlight in here with a local tasty Vermouth and some Catalonian style salami and oiled anchovies. It’s very untouristy this bar and a great place to relax. 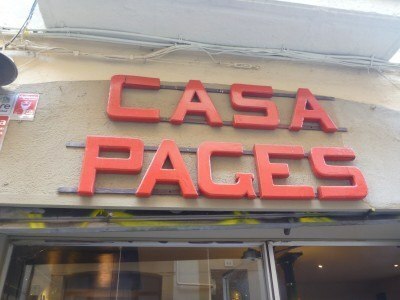 Casa Pages is a very small family run bar and restaurant on “Liberty Street”. 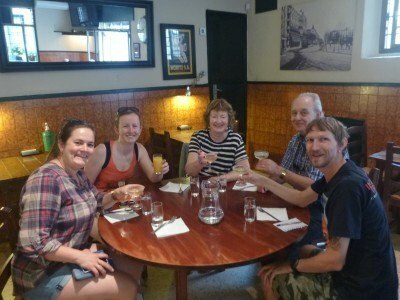 My fantastic Gracia Neighbourhood Food Tour kicked off here in a bar which translates as “Farmer’s House in Catalan”. This was the venue for our special “Catalonian Style Champagne Breakfast”! The sparkling Cava (instead of Champagne) arrives and we raise a toast, before devouring our Botifarra. Botifarra is a sausage sandwich with a side of freshly made alioli (like a yellow mayonnaise). It’s a tasty bite and an alcoholic kick to start the tour in style! A “Catalonian Champagne Breakfast” in Casa Pages! 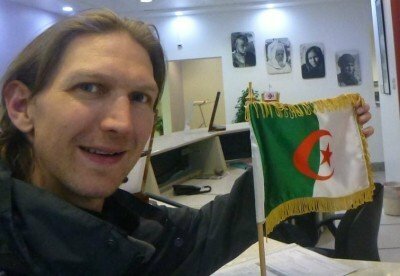 So after the crazy reunion with Paul in 2014, I could not have predicted that I would see him again so soon, but I ended up in Tunisia and Algeria in March/April 2015 and due to complete ineptitude by the Algerian Embassy, they wouldn’t let me stay long and issued me with a transit visa for Algiers only. Transiting in Algiers bound for BARCELONA again! The original plan was a Sahara Desert Tour and 8 days in Algeria. So, in a rush I booked the cheapest flight out of Algiers, which was…to Barcelona! I messaged Paul at late notice at 3am and it was pretty crazy, got off the flight and headed straight to his place without my bag. It had been lost in transit and indeed I didn’t see the bag again for another three weeks (these stories I’ll all tell separately by the way). Back with Paul again – a bit jet lagged to be honest! 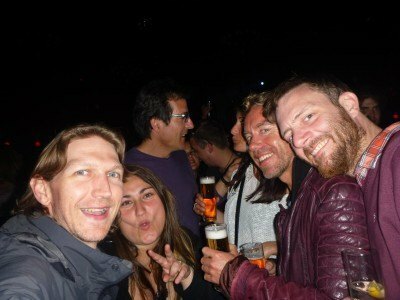 Paul and Nuria got some of their friends together for another night out and though we visited 4 or 5 bars, we ended up in the famous Apolo nightclub so I’ve included it in this list instead of some of the other cool bars like Pincho J, The (Bikers’) Paddock and La Carta Carmesi. Cousin Paul and I aged 39 and 35 respectively were out partying and even dancing a beat in the Apolo Nightclub. It was probably my first time in a club (outside England) in 3 or 4 years (couldn’t remember). But we headed back to Paul’s for a beer and a chat. Paul and Nuria were such saints, letting me stay a couple of nights with them at short notice, showing me the real life street scene in Barcelona, letting me charge my laptop and get some work done on the internet and Paul even leant me clothes and let me do my washing as I only had the clothes I was wearing. 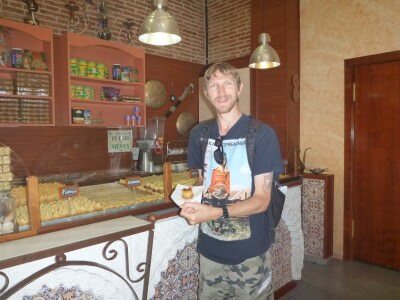 I’ve been twice now and I want to go back again soon – to see Paul and Nuria again and to enjoy their vibrant city. I was so happy to be proved wrong with Barcelona and I savoured my morning coffee as the sun beat down on me and my bus headed north into the Basque Country and dreamy Donostia. Next stop on this journey would be San Sebastian. One more step along the world I go. Paul and Nuria – if you are reading this I really appreciate everything you did for me and hope to see you both again real soon. Barcelona: Definitely not over-rated. Brilliant city. 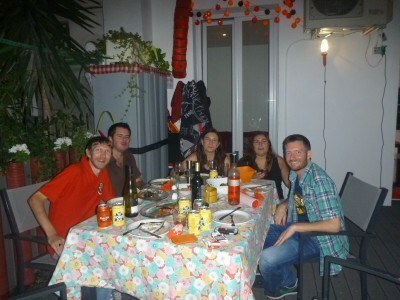 This entry was posted in Barcelona, Barcelona, Bars, Catalonia, Daily Features, Europe, Gracia, Spain, Thirsty Thursdays. Bookmark the permalink. 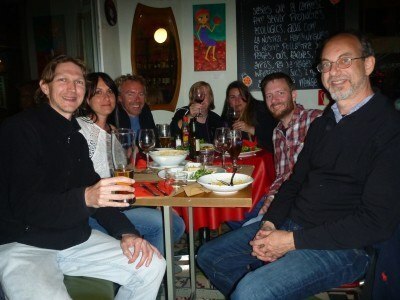 I never managed to get a good night out in Barcelona, or any night out for that matter! Feeling like I’ve missed out now!